Snapchat has had a rough year. After IPOing in March 2017 at around $28 per share, today a single share of Snap Inc sells for the low-low price of $17. Shares of Snap have sold for as little as $11 at various times in the last 12 months. That's a nearly 2/3 drop in market cap. Part of the problem is that Facebook has blatantly copied all of Snap's best features and blended them into its own products, mainly Whatsapp and Instagram. Another problem is that Snap's most passionate users HATE the changes the company recently made to the app. Plus Snap is nowhere near profitability and burns money like its going out of style. If Snapchat continues down this path, the company literally might not exist in a year or two. Maybe that's why CEO Evan Spiegel is soaking up as much dough as he possibly can right now! Evan's 2017 compensation numbers were just released as part of an SEC filing. In the filing we learned that his base salary was $98,078. He also earned around $1 million in ancillary benefits including security guards and private jet travel. Outside of that base salary and benefits, Spiegel was granted $636 million worth of stock. In other words, his total compensation was $638 million. FYI: In 2017, Snapchat lost $720 million. At $638 million it's the third largest payout a CEO has ever received for a single year compensation according to a report from Reuters. The #1 and 2 spots on that list are actually held by the same person, Daniel Och, CEO of hedge fund Och-Ziff Capital Management. In 2007, Och received $918.9 million and in 2008 he received $1.19 billion in total compensation. Och-Ziff manages more than $30 billion worth of assets. Daniel Och's net worth is $3.5 billion. 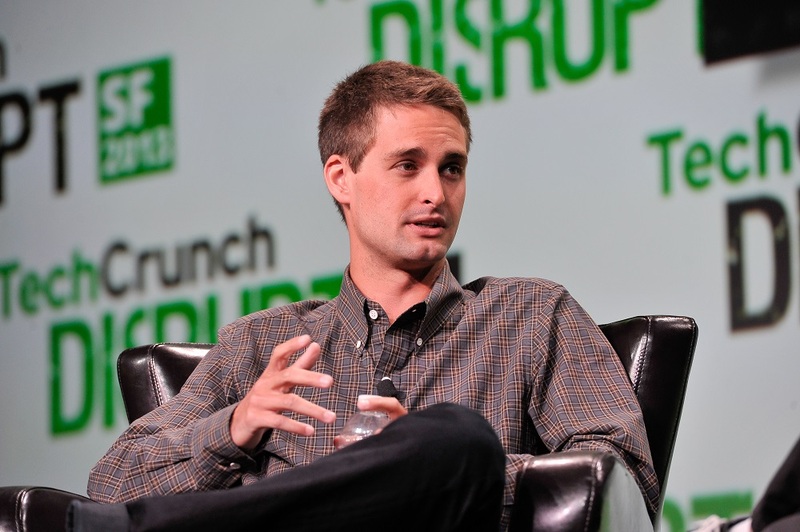 Evan Spiegel's net worth is $4 billion. Do you think Snapchat will exist in a year? How about two years? Snapchat CEO Evan Spiegel is a whole lot richer after Snap Inc. went public earlier this month. Snapchat is officially a public company with a market cap of $33 billion. And with the IPO, the company's 20-something founders just hit the BIG time. If the high range of these estimates is reached by the time Snap Inc. goes public, Snap's founder and chief executive Spiegel could end up being worth $4 billion.